Although the revised EU Payments Services Directive (PSD2) already goes into effect in January 2018, a new PwC survey shows few banks seem to be ready for it. At the start of the summer, 38% were still in the early stages of assessing its impact, while only 9% were in the implementation stage of the new PSD2 requirements. For its new PSD2 readiness survey dubbed ‘Waiting until the Eleventh Hour’, PwC interviewed 39 senior bank executives in 18 European countries, covering most of the world’s leading banks. The interviews were conducted in the first half of 2017. While two-thirds of the execs anticipate PSD2 will affect all their bank functions, with numerous interdependencies with other regulations, only 9% said their preparations for PSD2 were at the stage of being implemented. The introduction of PSD2 is meant to create a level playing field for new entrants and traditional market players, offering more opportunities for competition and innovative payment services. Under the revised directive banks in Europe will need to make customer data available in a secure manner, and eventually give third-parties access to their customer’s accounts. PSD2 is a testament to the newly unfolding world of open banking where (fin)tech companies, merchants and even telco’s can change the payments landscape completely. In January 2018, banks’ monopoly over customer account information and payment services will effectively cease. Encouragingly, almost all banks (94%) PwC interviewed are currently working on PSD2 in some way or another and two out of three banks say they want to use PSD2 to change their strategic positioning. In the survey, PwC also asked banks about their preference among four types of emerging business models. 50% of the respondents aspire their bank to be a platform aggregator, which would mean developing an open platform that allows partners to integrate their products and services into the bank’s offering, while providing an open platform for generating new products and services based on the bank’s API and data. As part of the report, PwC identified several best practices that banks should follow to ensure they address PSD2 effectively and efficiently. Perhaps the most important finding is that banks should ensure their top management is part of the strategic response to open banking. Currently, strategic considerations are oftentimes a by-product of a PSD2 compliance project managed by IT and operations. Given the far-reaching impact PSD2 will have, banks that take this approach will miss the opportunity to become powerful operators in the new world of open banking. In the first half of 2017–and a year after “Catalyst or Threat” study–PwC and Strategy& analysed banks’ perception of PSD2 again. To capture the industry perspective, senior representatives of 39 leading banks in eighteen countries (Italy, Denmark, UK, France, Slovakia, Czech Republic, Belgium, Finland, Luxembourg, Poland, Ireland, Switzerland, Spain, Portugal, Germany, Netherlands, Austria and Norway) were interviewed. 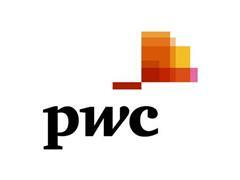 The findings were analysed and evaluated by leading thinkers of the global PwC PSD2 center of excellence, which combines experts with regulatory, technology and strategy backgrounds. How well prepared are banks for PSD2?